[SatNews] Kratos Defense & Security Solutions, Inc. (Nasdaq:KTOS) has revealed that their Integral Systems Europe Limited (Kratos ISE UK) business group has been selected by TrustComm, Inc. to deliver its Starlight gateway satellite Earth station for installation in Cyprus to service Europe, the Middle East, Africa, Asia and Australia. The Kratos ISE UK-supplied gateway Earth station will support TrustComm's Starlight™ solution, the company's mobile satellite service based on Thuraya L-band technology. 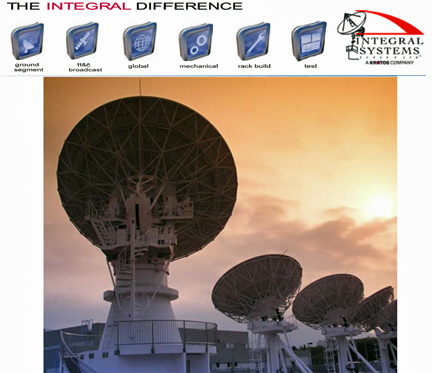 The system to be delivered includes redundant antennas and RF equipment, as well as overall system Monitoring Control (M&C) provided by Kratos' Compass™ product, a leading device M&C solution for satellite and other communications networks. In addition, Kratos ISE UK will supply power calibration equipment to be engineered by Kratos ISE based on Monics(TM) selective power metering technology. Monics is the industry's leading carrier monitoring solution from SAT Corporation, a Kratos subsidiary. Kratos ISE UK will build and test the system in its ground system integration facility near Newcastle upon Tyne, UK, prior to shipping it to the installation site, where Kratos will undertake the installation, integration and final testing. The contract includes an option for the provision of a second gateway system in the future.